Campaigners in the village of Queensbury between Bradford and Halifax are campaigning to have the “Queensbury Tunnel”, a disused railway tunnel, opened as a cycleway. Queensbury Tunnel could help to establish an important link within the emerging network of shared paths across the region, allowing a route to be formed between the Aire and Calder valleys where paths are already under development, as well as a link into Bradford and Halifax. The existing Great Northern Railway Trail would form part of that route. Built in the 1870s to take a railway from Halifax to Bradford and Keighley, this historic engineering work - almost 1½ miles long - has been redundant for the past 60 years, leaving parts of it in poor condition. But if repaired, the tunnel could play a central role in a future cycle path network - when finances allow - linking communities to the west of Bradford. 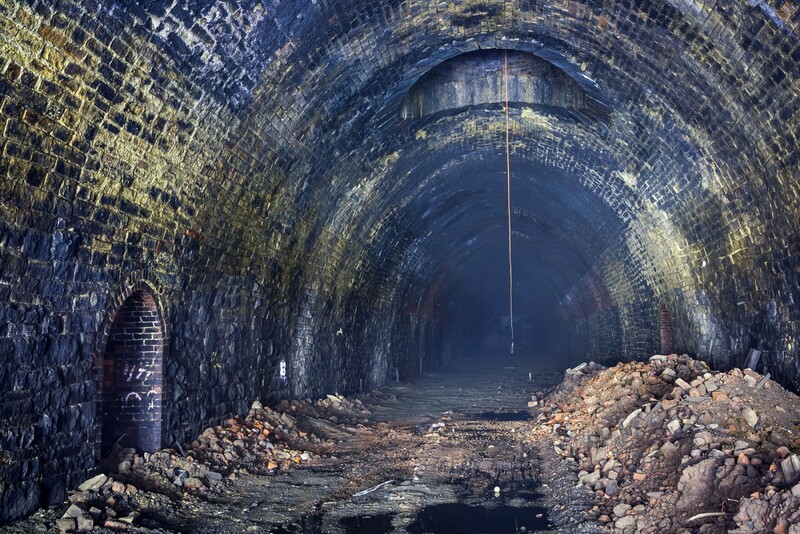 The Queensbury Tunnel Soceity say that without Ministerial intervention, it will have been put beyond use long before then as a result of abandonment plans being progressed by its custodian, Highways England’s Historical Railways Estate (HRE). Estimates suggest the cost of that work will be about £3 million. The Soceity proposes an alternative. Over the summer, a specialist engineering team developed a proposal which would see the tunnel proportionately repaired for £2.81 million. This would transform it from a liability into an asset, ensuring Queensbury Tunnel could repay that investment over time through social, environmental, health and economic benefits.